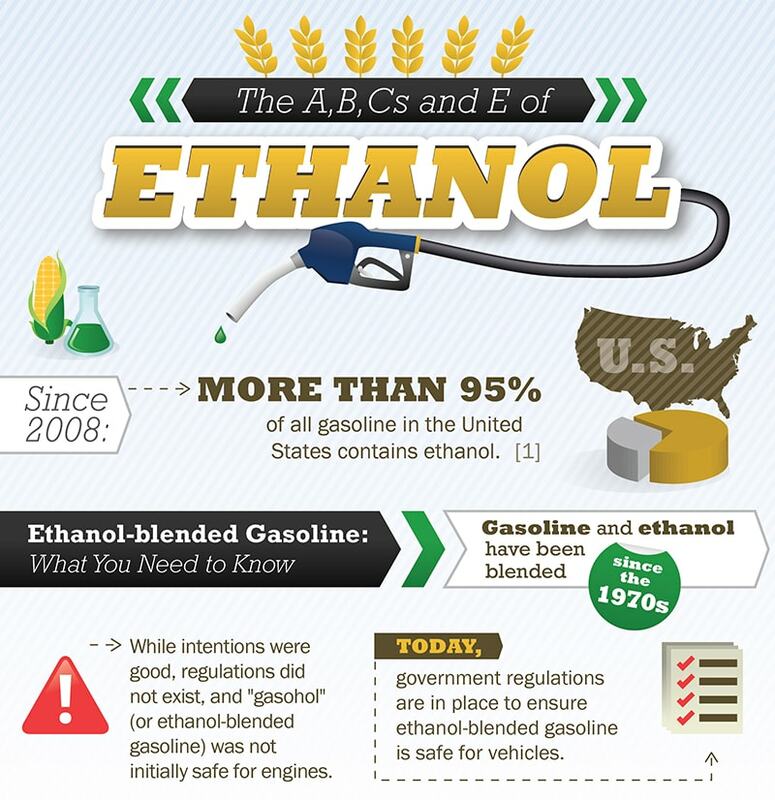 More than 96% of all gas in the U.S. contains ethanol. Yet many are still unaware of the damage it can cause to your fuel system, or what to do about it. 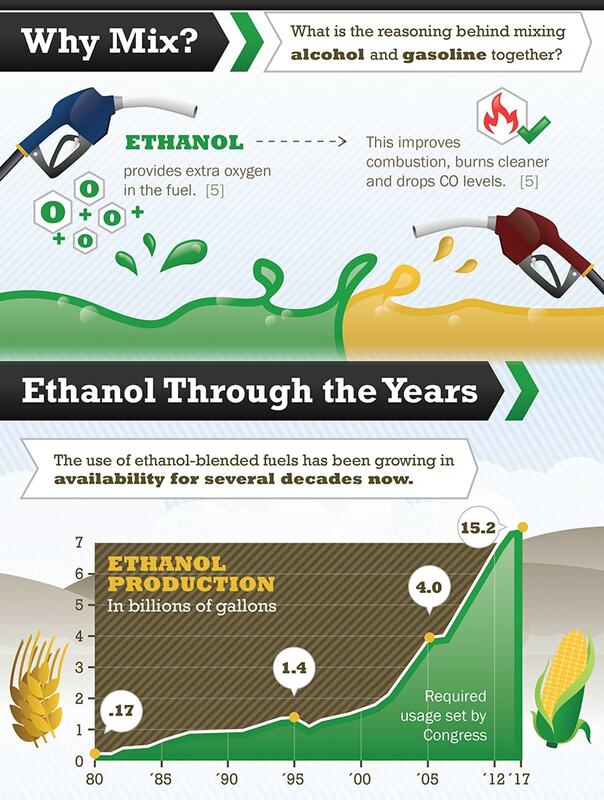 What are the advantages of ethanol fuel blends? 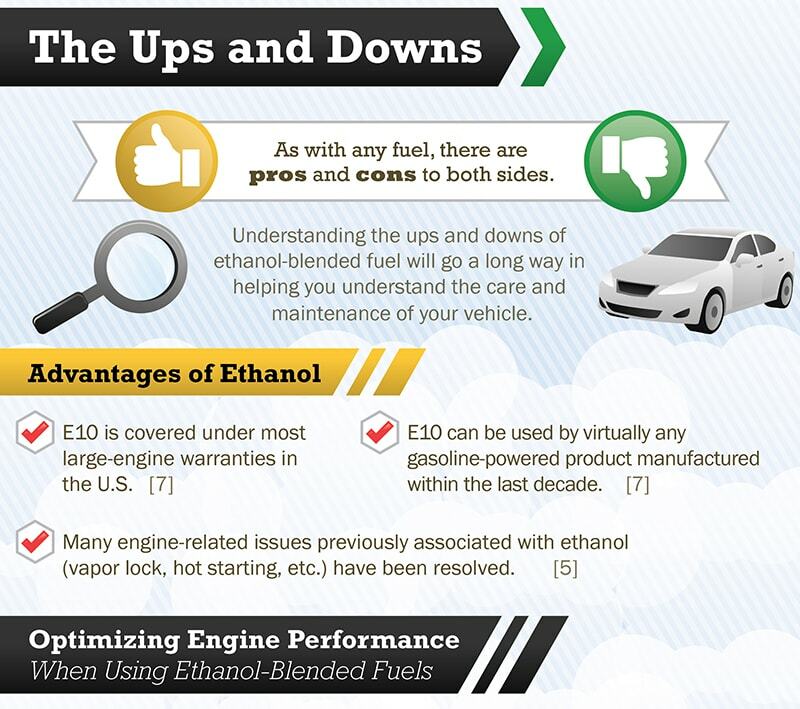 What are common ethanol problems, and how can they be prevented? 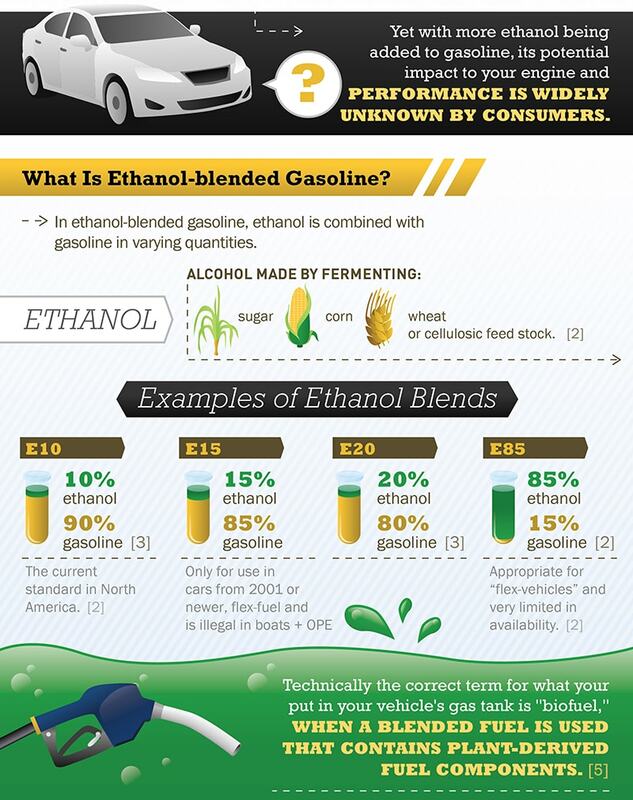 Which ethanol treatments are best? 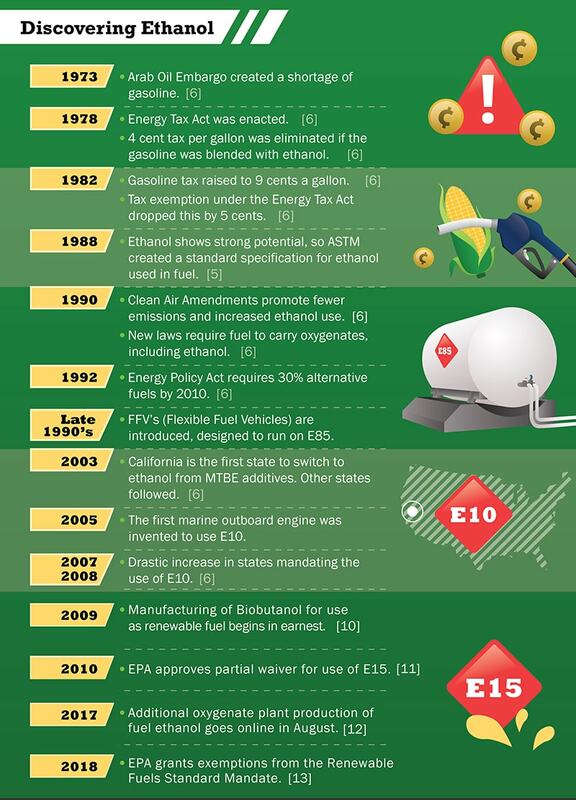 Gasoline and ethanol have been blended since the 1970s. 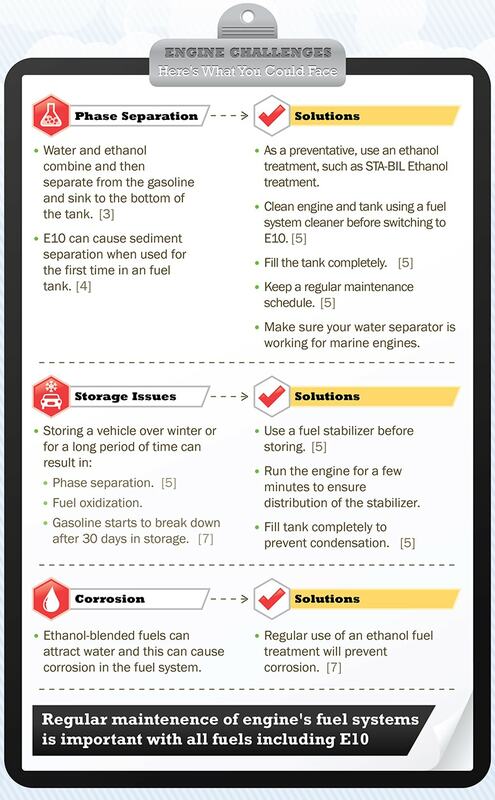 Ethanol-blended fuels attract engine-damaging water. Using an ethanol fuel treatment at every fill up prevents corrosion from ethanol-blended gasoline. Not to contradict you or demean your product, but I used Stabil for several years, in my small engine motors, i.e. power washer, generators, riding mower, and motorcycles, and found each spring, that I had a hard time for the first starting of the season. Was informed by the mower repair tech and the motorcycle mechanic that stabil acted adversely with aluminum, mainly in the carbuerators. Switched to Lucas fuel injector cleaner and upper cylinder lubricant and have not had that problem since. Unless the formula has been changed, so as to not act negatively with aluminum, I don’t reccommend stabil. I welcome any feedback. Thank you for taking the time to let us know of your experience with STA-BIL. STA-BIL has been thoroughly tested independently by third parties to make sure all claims and safety standards are met or exceeded –that includes tests on all metal, plastic, fiberglass tanks and components when used properly and within its shelf life (2 years from opening). STA-BIL has been in the market for over 60 years and is recommended by many popular OEMs such as MTD and Generac. All of our products are also backed by a Full Satisfaction Guarantee as well. Should there be any questions at all, please contact us at producttechsupport@goldeagle.com.